40 acres. Great location. One mile north of Marcellus, near many lakes. Approx. 15 acres tillable, rented to a local farmer. 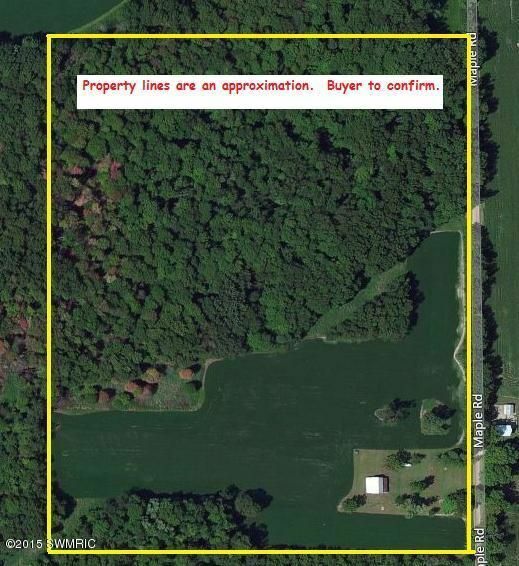 Remaining 25 acres wooded. Selective harvesting of cherry trees done 5+ years ago, yielded $24, 000. Deer, turkey, rabbit and other small game on the property. A home stood on the site some time ago. Still has a large barn.